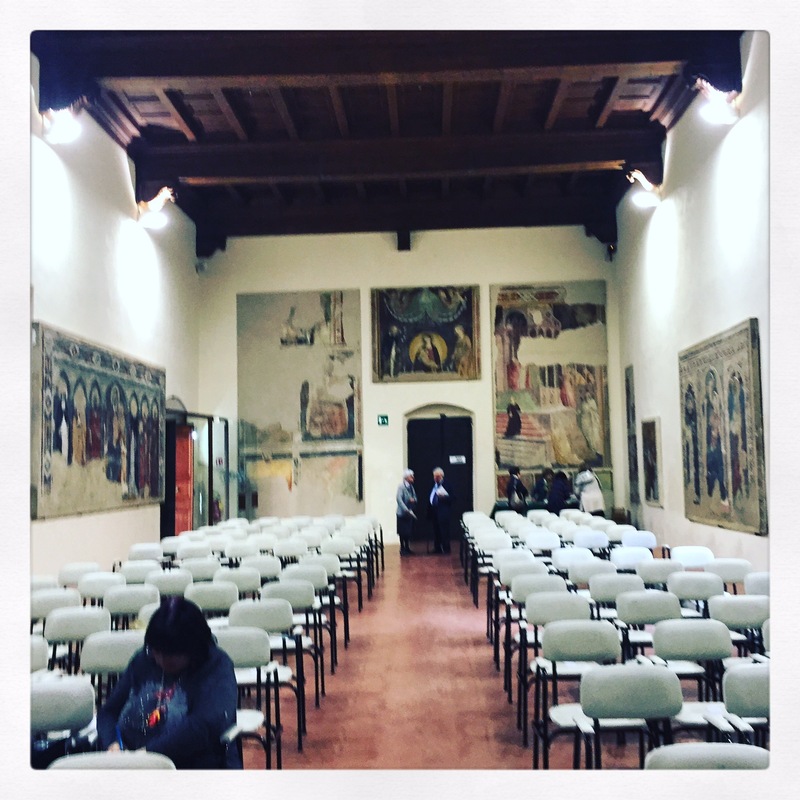 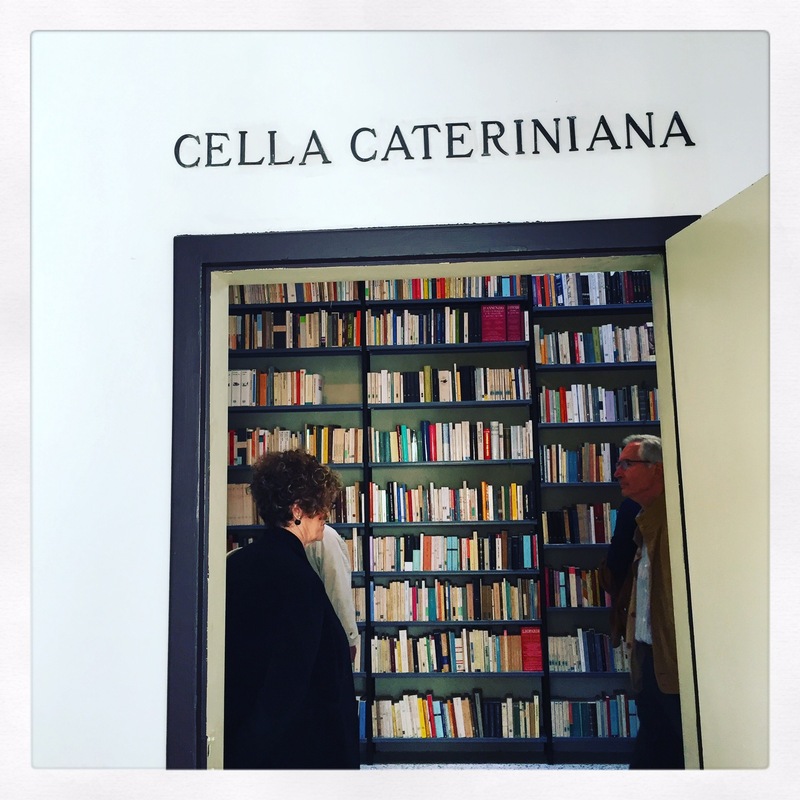 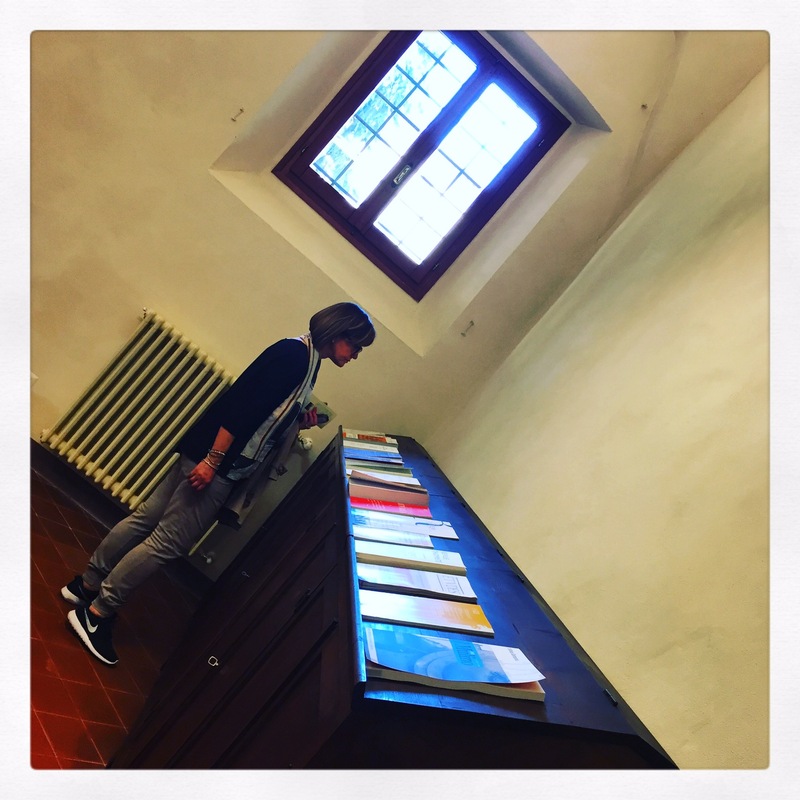 Last Saturday I’ve been invited by one of the two architects who projected the restoration of this beautiful old library , Antonella Galli , to the new opening . 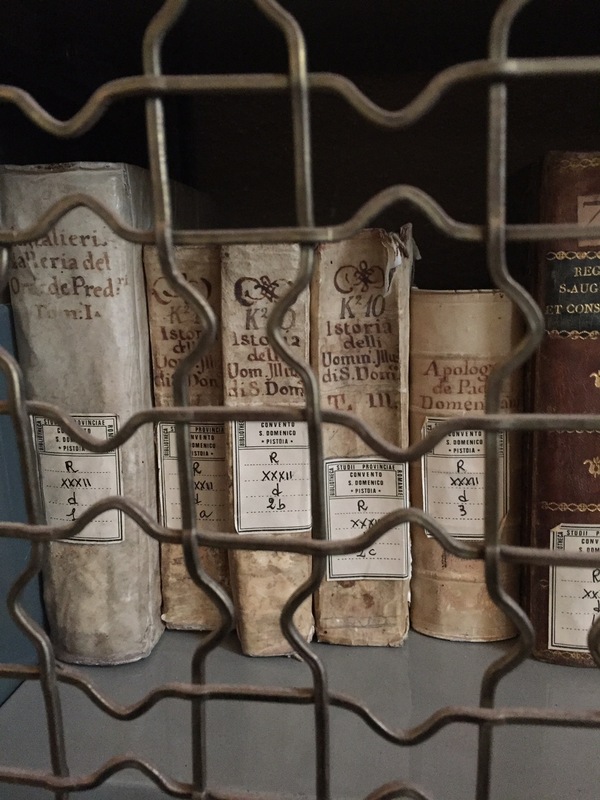 Another old library in the heart of Pistoia , at the disposal to Pistoia’s people , open three days a week but previous reservation even in other days. 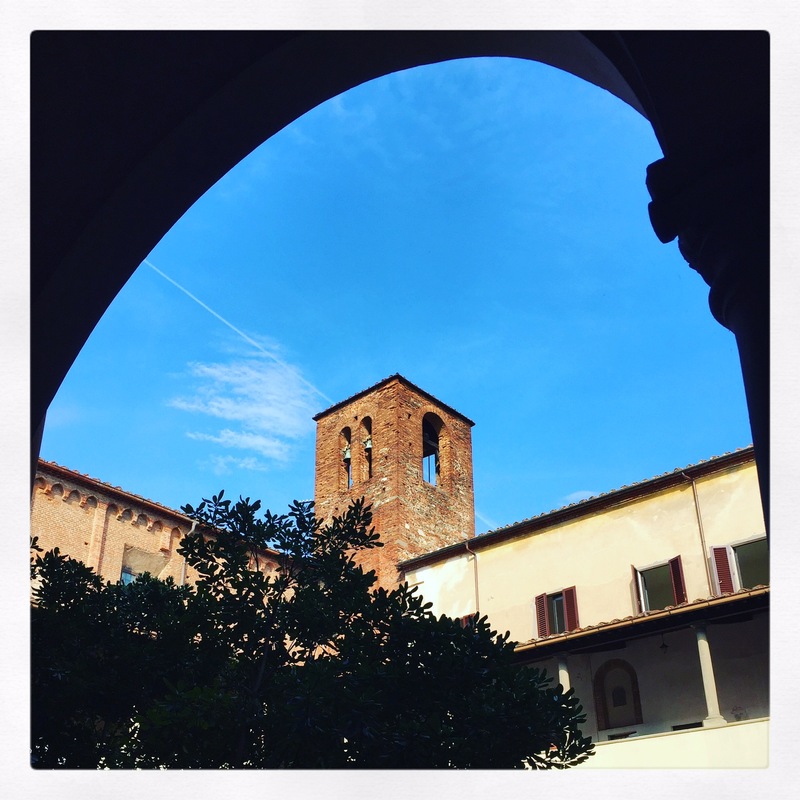 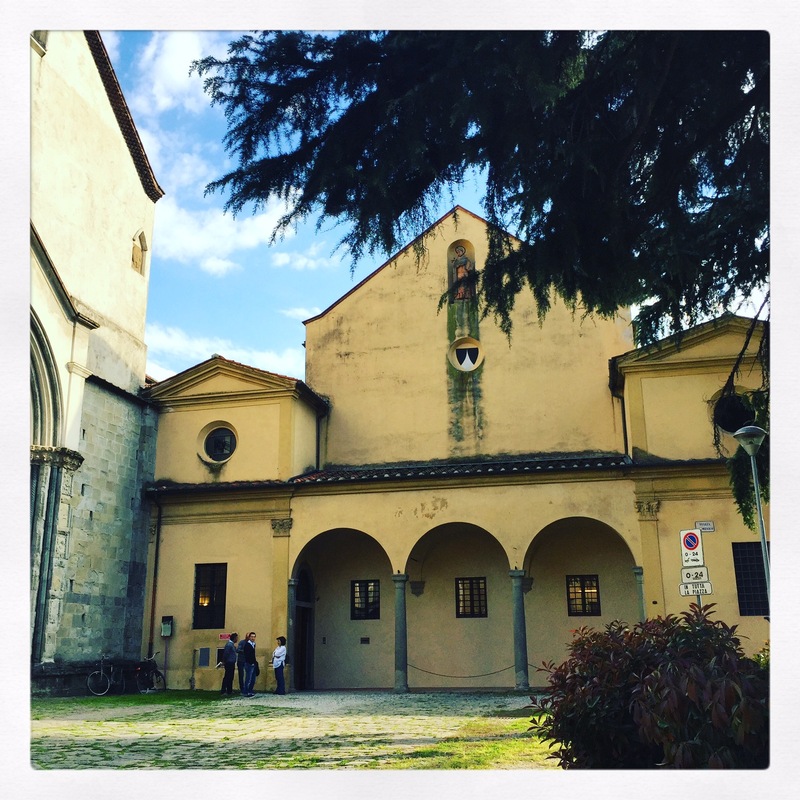 The complex is inside a Domenicans convent & the nearby San Domenico church just opposite to piazza Garibaldi & in front of Marino Marini museum . 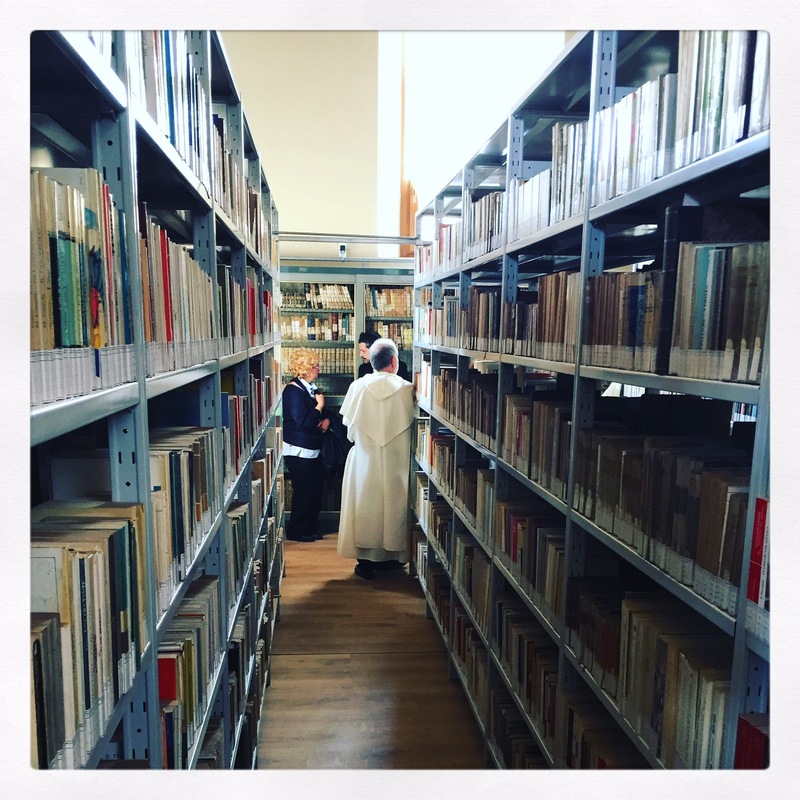 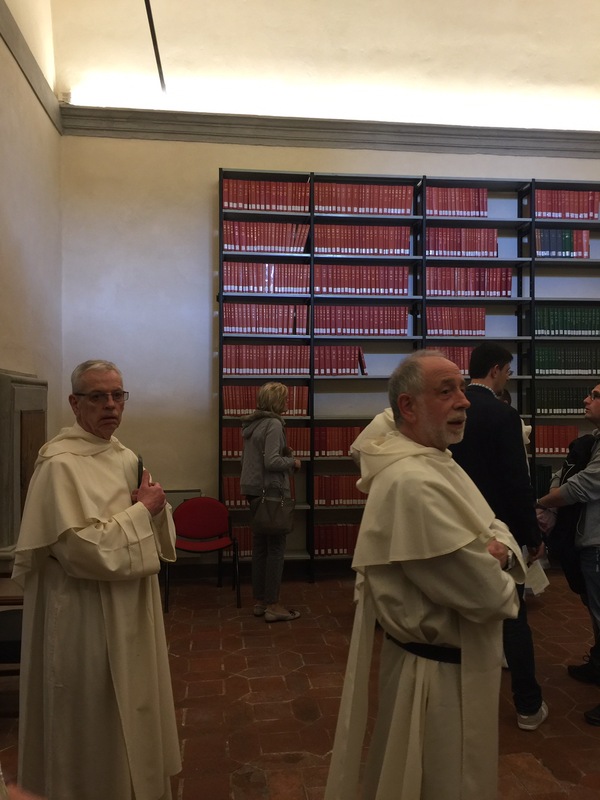 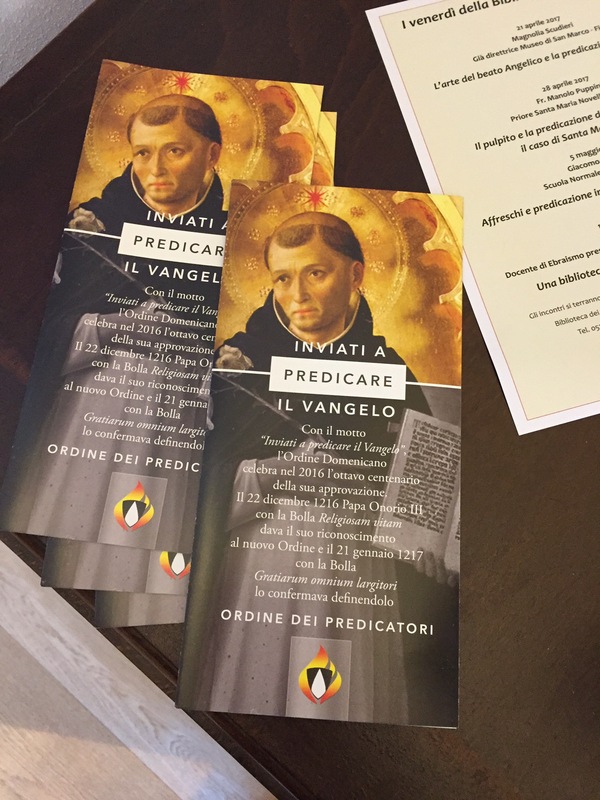 The order of Saint Domenico was founded in the XIII century and since that time as the monks were predicators of the Vangels they needed to bring books with them to tell the Jesus’ life to people, so we can easly understand how much important could be the books for this order . 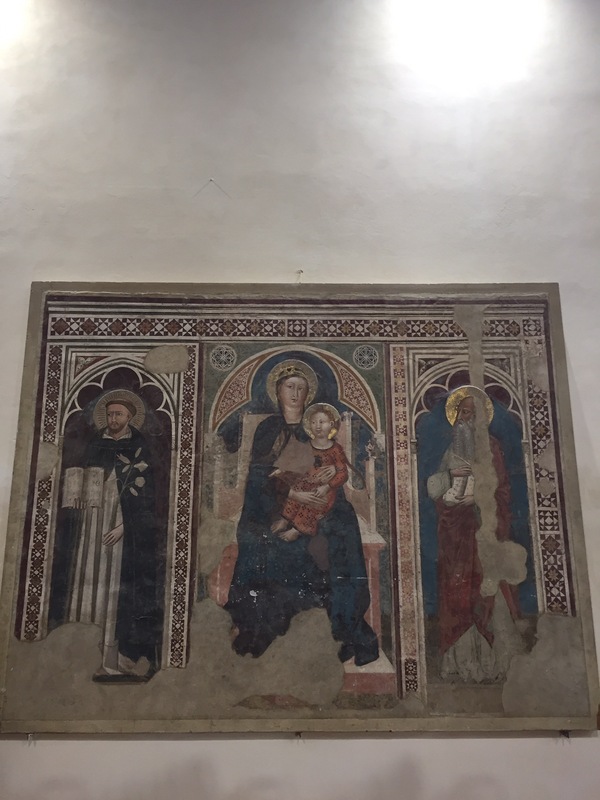 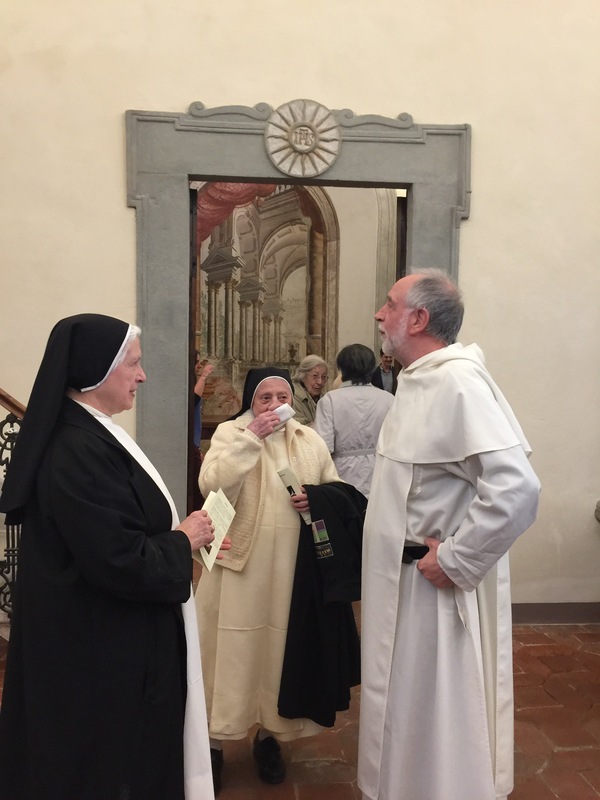 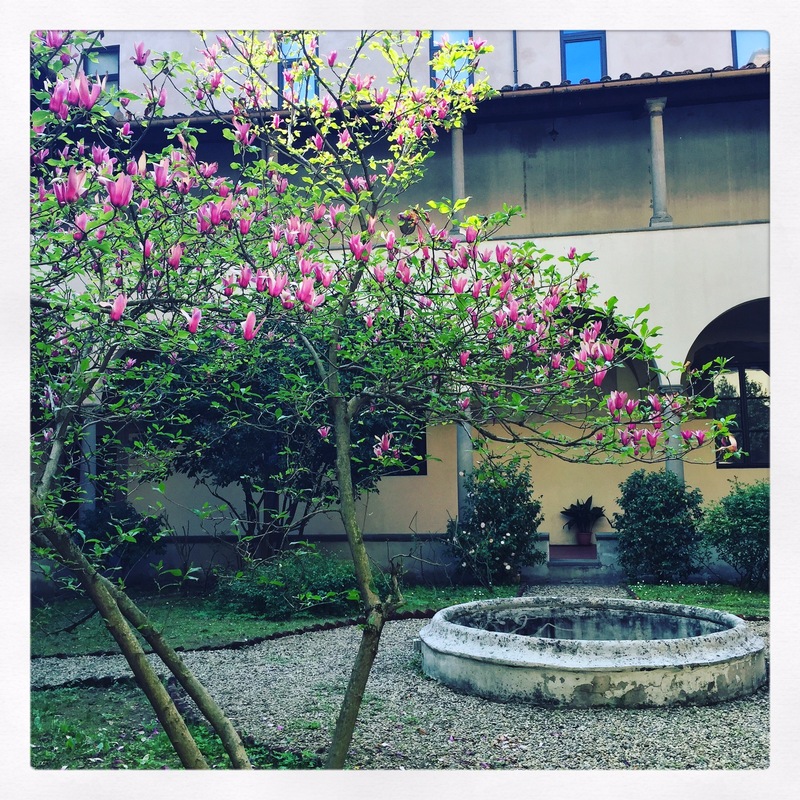 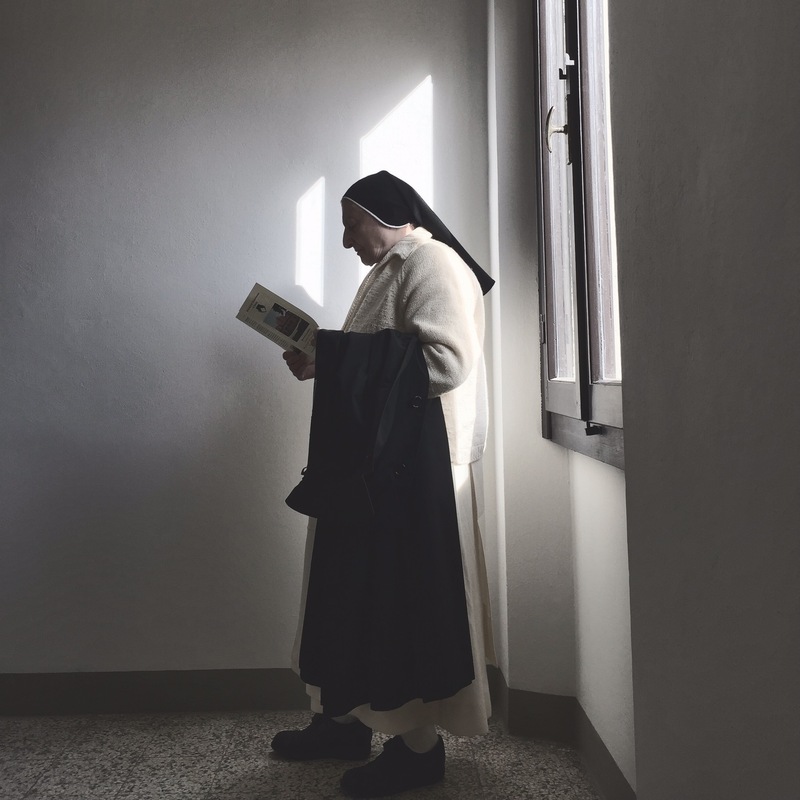 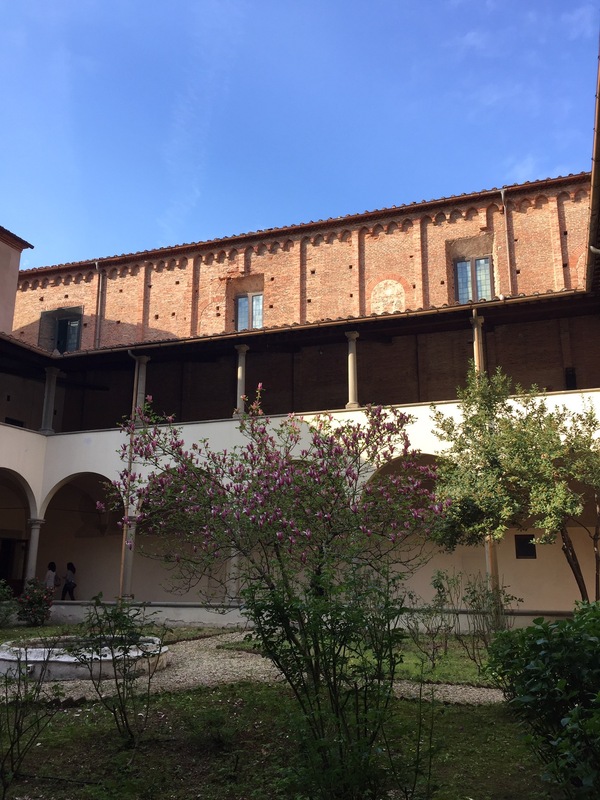 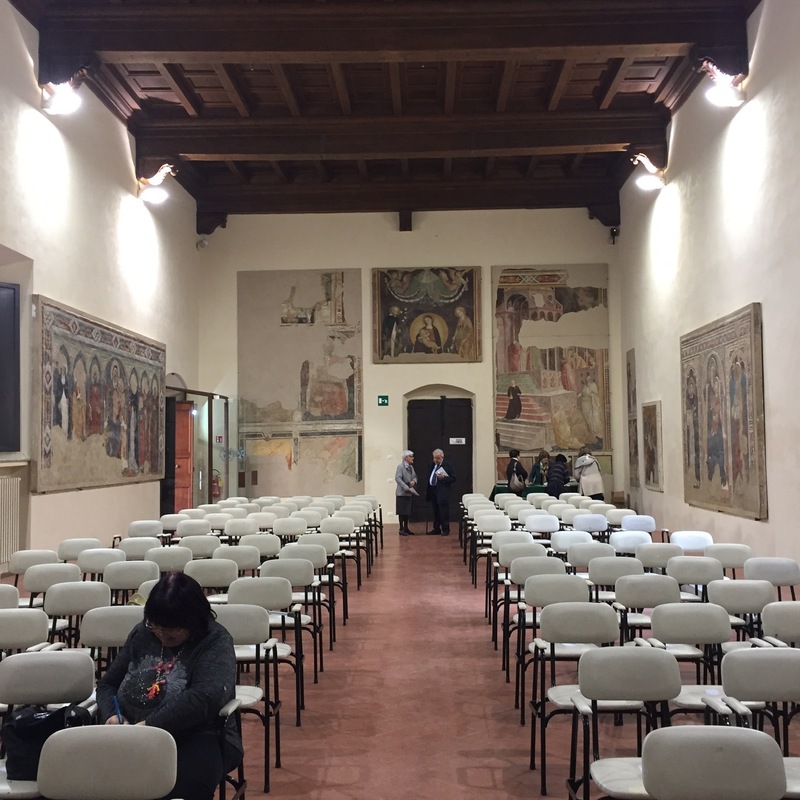 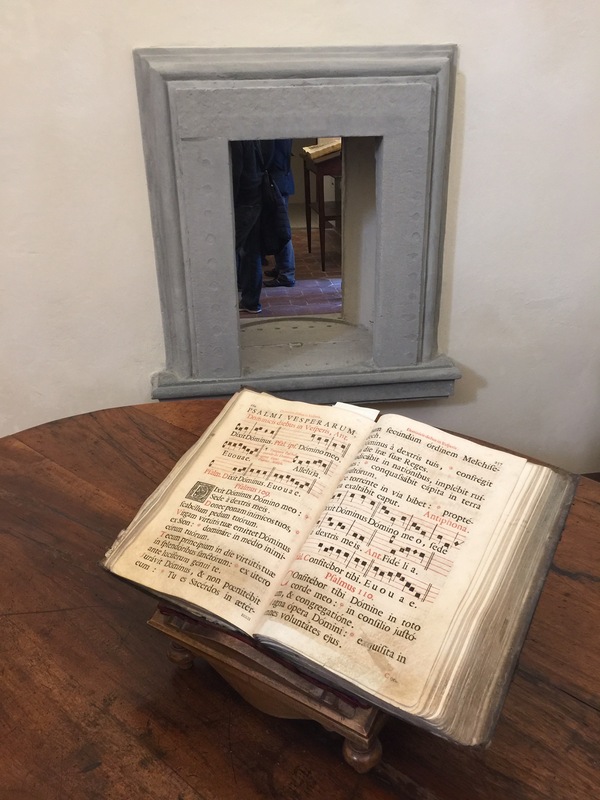 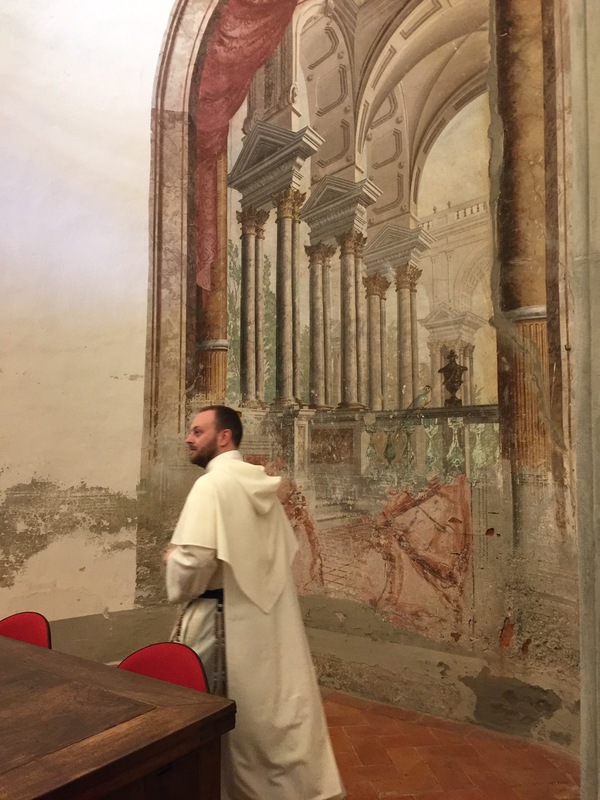 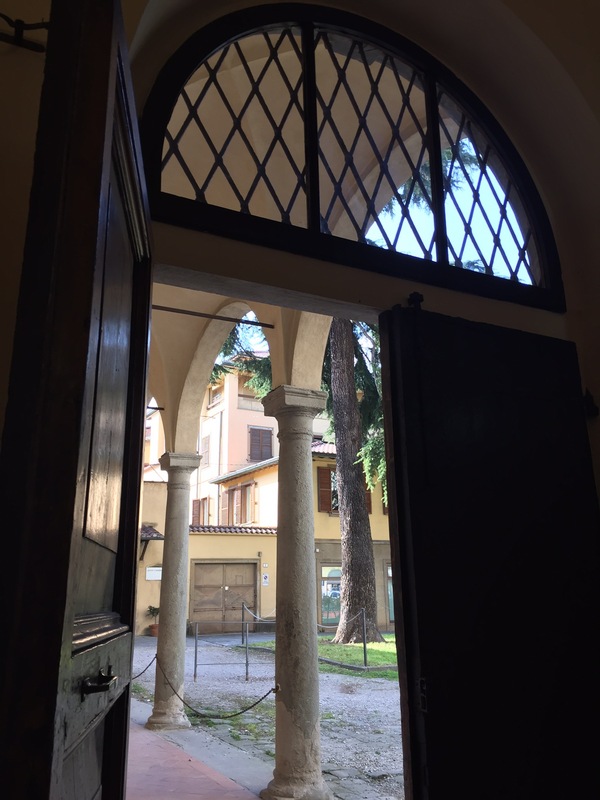 Furthermore , each convent was formed to have a studio- center to be able to be teach to the new monks but even to be open to the outside towords the Pistoia community and being a reference point for the common people too. 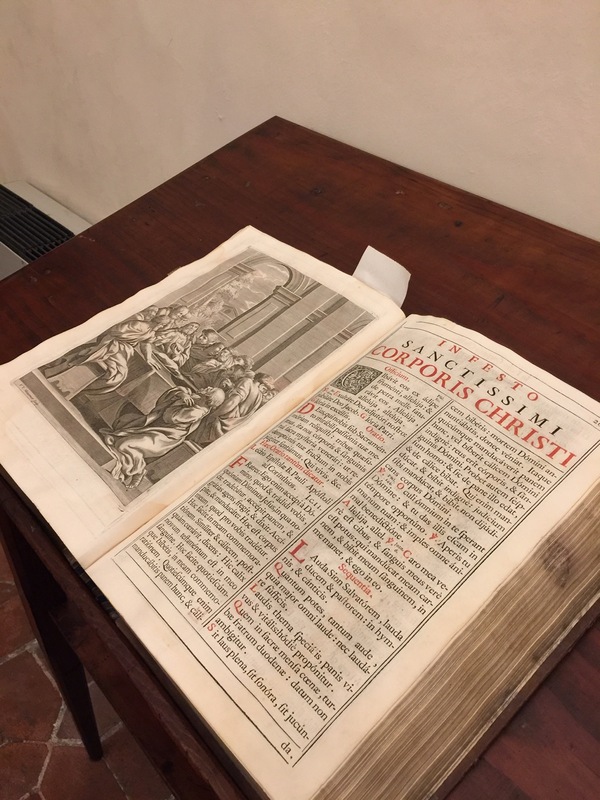 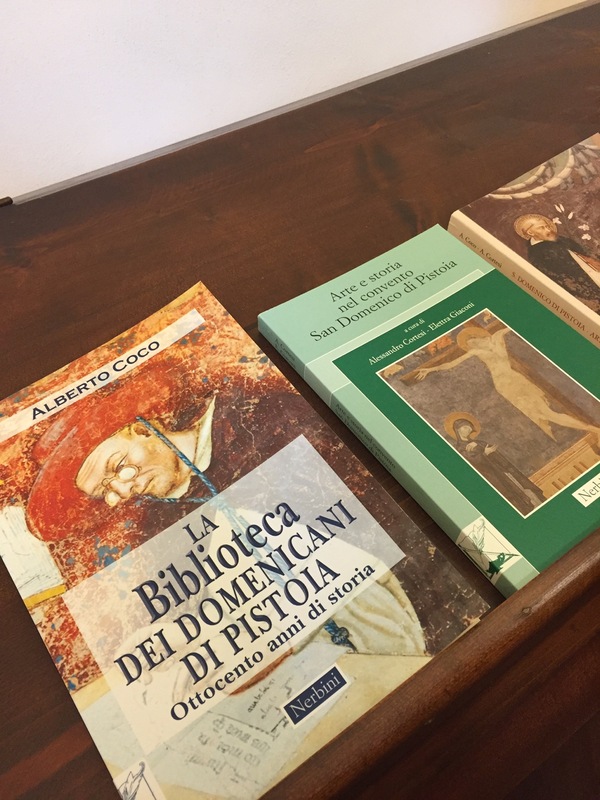 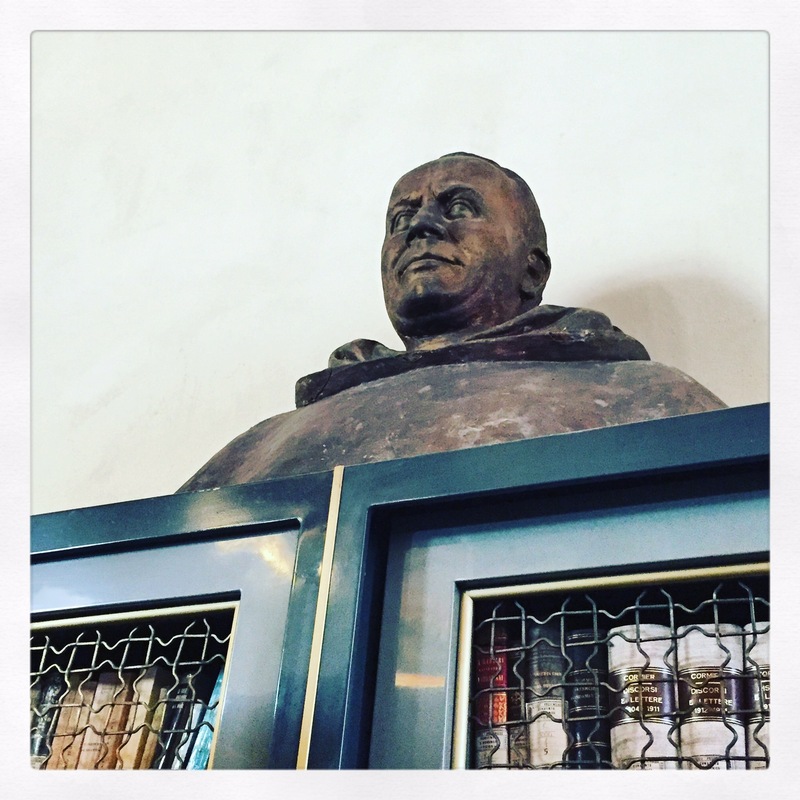 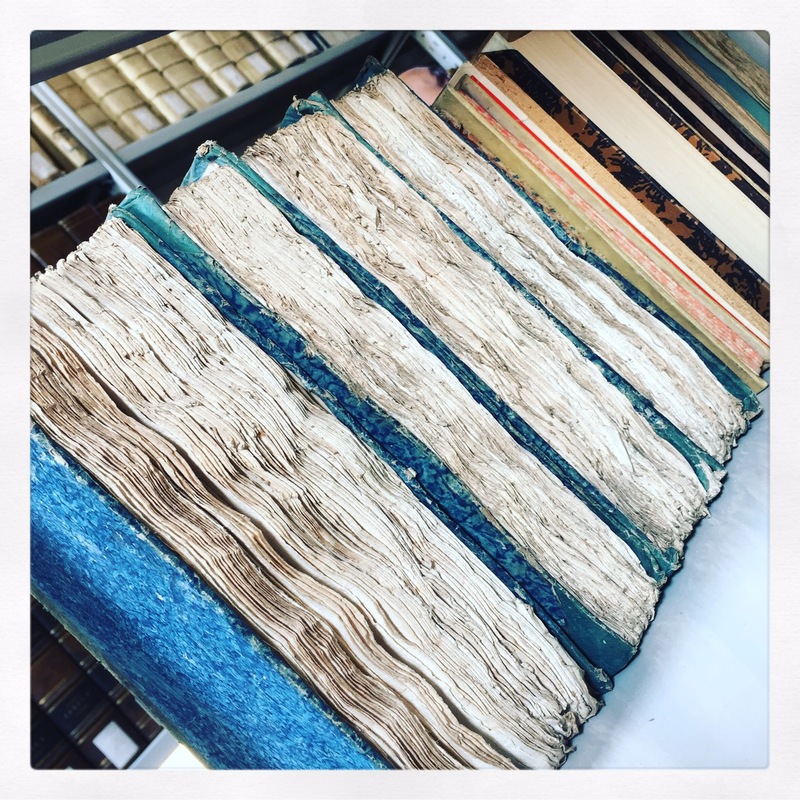 At the end of the XV century Beato Giovanni da Pistoia left many of his books and manuscripts to the convent and so we can consider this period as the first step to create a real library. 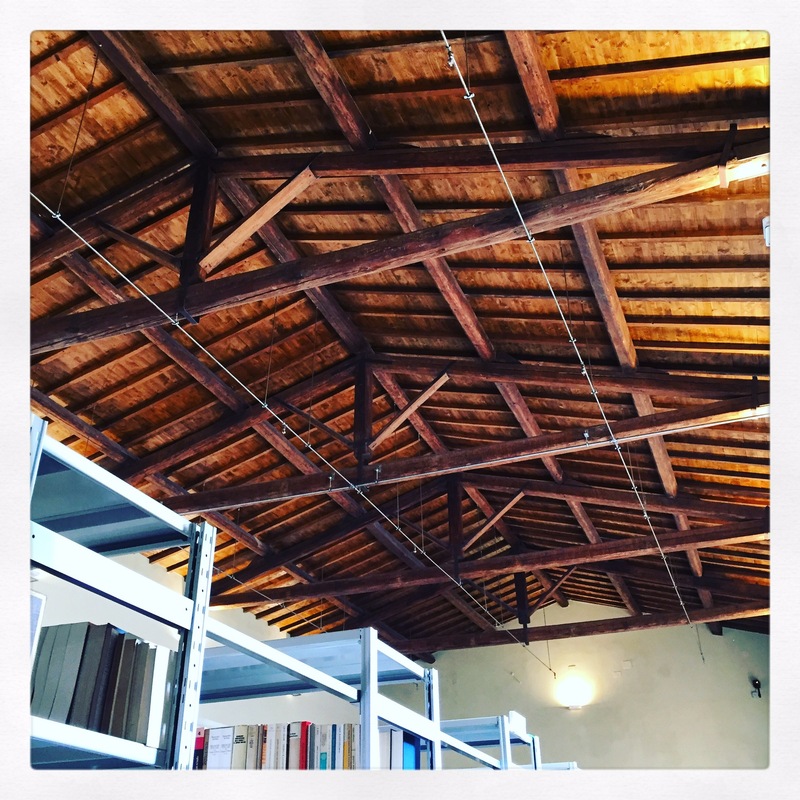 Bombed in the second world war the library was rebuilt in 1959.Today after this last restoration the library is open to public and it has been a real pleasure for my eyes and nose : yes, books have a special smell I couldn’t live without it ! 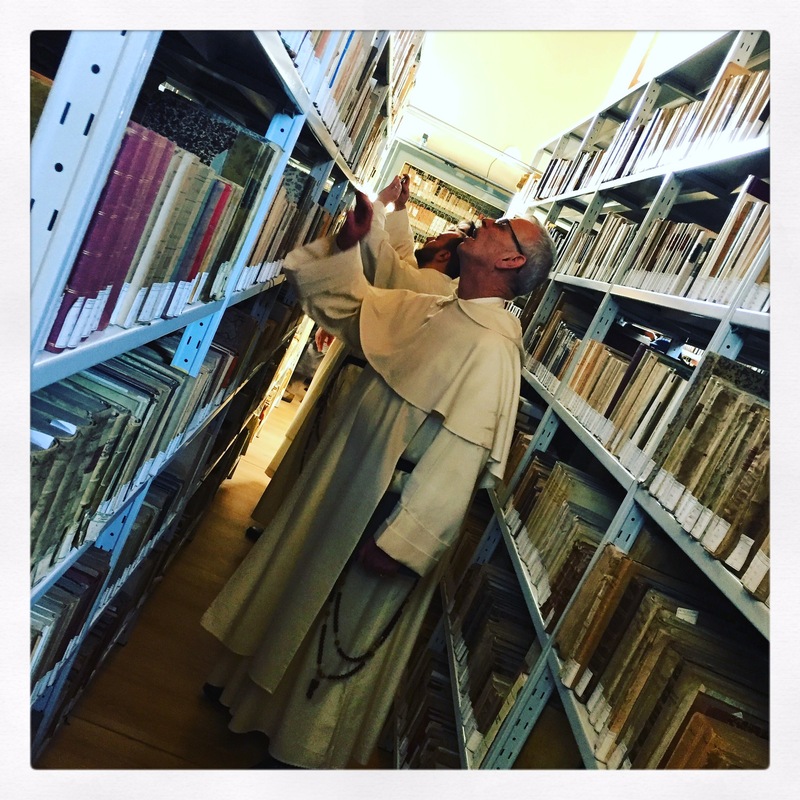 I met many monks at the opening and this made me think to the Umberto Eco ‘s best seller ” Il nome della 🌹 rosa” did you read it ?